Answer: It would be immersive and intimate, accessible from anywhere in the world, and focused on shipping a ridiculous number of projects in a short time frame. Seth’s latest venture, altMBA, is precisely that program. I recently got the chance to speak with Winnie J. Kao, who is the director of the program and a strong voice in the world of marketing in her own right. She explained to me that the short-term, intensive nature of the programs is one of its main benefits. “If you were doing it on your own, you might give up. But because you’re in this 4 week sprint, you’ve already paid the tuition, and your group is counting on you. It makes it hard to leave, so you stick it out. When you stick it out, you give yourself a shot to get through the dip. You trudge along doing the hard parts because your group will kindly call you out when you’re avoiding difficult decisions, and you make it through on the other side,” she said. 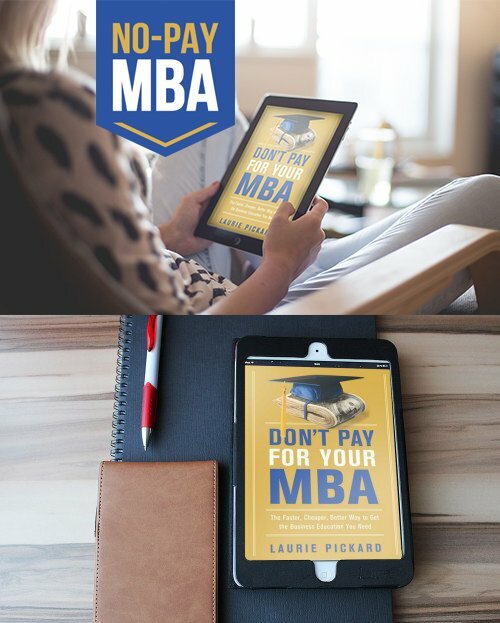 I see No-Pay MBA readers as being savvy and inquisitive, interested in a variety of unconventional approaches to business education. You’re high achievers, not status seekers, so you’re excited about transformative educational experiences whether or not they come with a degree from a brand-name institution. As Winnie J. Kao told me, “altMBA is for people who are hungry to do more and be better. It’s for people who see possibility and reasons to say yes. People who are ready to level up.” I would describe No-Pay MBA’s audience in the same terms. When I choose topics to write about, I think back to myself pre-No-Pay MBA, when I was thinking about how I could get the transformative business education I sought without going tens of thousands of dollars into debt. Many No-Pay MBA readers are in a similar situation. 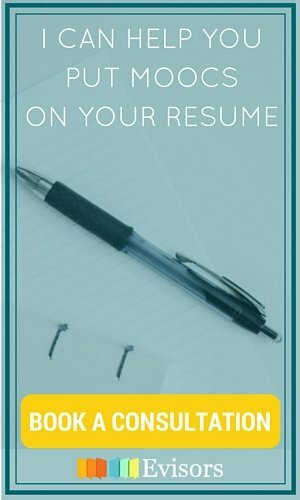 My goal with this blog is to make you aware of your options and to help you make the best decisions about your business education. altMBA is a program I would have been interested in (in fact, I still am); by extension I assume that No-Pay MBA readers will want to know about it. I don’t really see altMBA as competition, for a few reasons. For one thing, it’s at a different price point than No-Pay MBA. Tuition for altMBA is $3,000 - much more affordable than traditional business school, but still significantly more expensive than joining No-Pay MBA’s network. The curricula also differ significantly. 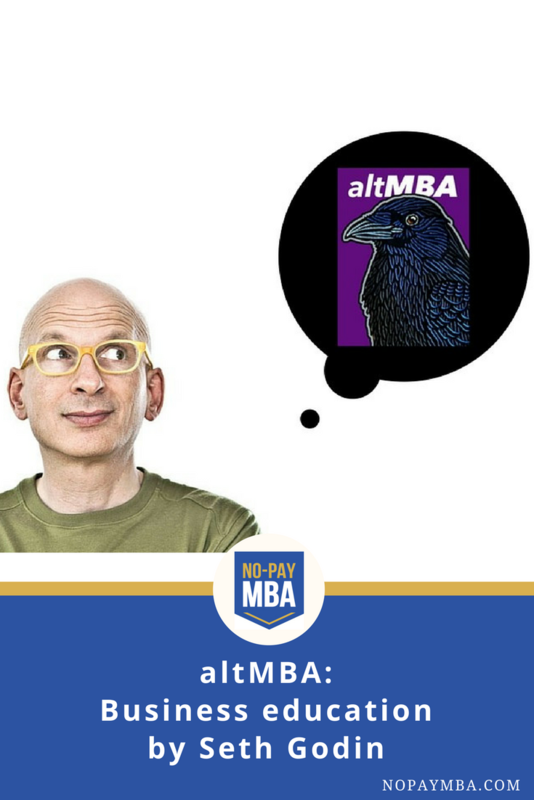 No-Pay MBA is MOOC-based, while the course materials for altMBA’s curriculum were created by Seth Godin. Furthermore, altMBA is a sprint, whereas No-Pay MBA is a marathon. altMBA requires a serious number of hours over just a few weeks. 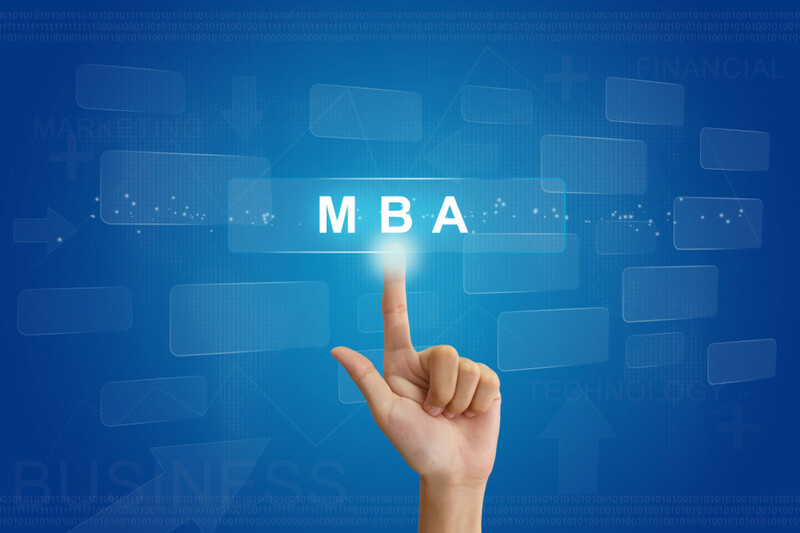 A No-Pay MBA is a bit more fluid, designed to be completed in 18-24 months and adaptable to all kinds of schedules. There are pluses and minuses to both models, but they’re different enough to appeal to different people. Truth is, I feel validated by altMBA. Smart, famous people like Seth Godin and Winnie J. Kao agree with me that you can have a transformative educational experience in an online community. That’s cool! They also agree that making human connections and putting skills into practice are key to having such a transformative experience. I’m also excited that Seth Godin thinks that now is the time to launch a business that brings together online learning, human connection, and hands-on practice. Winnie described to me a blue-skies process that she and Seth went through to develop Seth’s next venture. They could have done literally anything, and altMBA is what they chose. 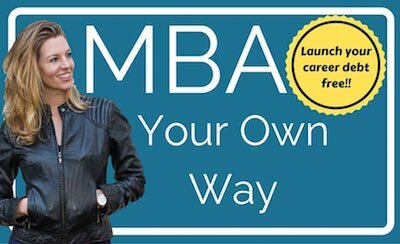 “Can I run a program like this on my own?” asks altMBA’s FAQs section. As someone who is in the trenches building such a group, Seth’s words ring true. It is difficult to organize a group of people to form a true learning community in a virtual environment. But when you get it right, it’s extraordinary. 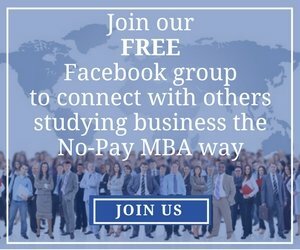 When I started the No-Pay MBA project, MOOCs were in their infancy, and the MBA was still singular in the world of business education. Since then, so many exciting opportunities have emerged, many of them intimate, innovative, and entrepreneurial. I’m happy to use my small megaphone to get the message out about the ones I find most exciting. For more information about altMBA, check out their website at altmba.com. I highly recommend Seth Godin’s Startup School Podcast, an excellent primer to both building a startup business and to the inspirational force that is Seth Godin. Winnie J. Kao writes an excellent blog about marketing, filled with insights about culture and human psychology. In the Cesim Global Challenge simulation, each team makes decisions for a fictitious company in a series of rounds; in this case, we played the role of cell phone manufacturers competing with one another for market share. In each round of the simulation we were given information on market conditions, expected demand, and competitors’ sales from the previous period. Using this data and Cesim’s decision-making interface, each team had to choose how many new plants to build, whether to invest in R&D, how to prioritize distribution, how many phones of each model to produce, and whether to contract out production, among other decisions. The simulation drew on concepts from a wide variety of my courses, including finance, marketing, supply chain logistics, and even HR, as some of the decisions involved determining salaries and choosing whether to lay people off. As noted previously, Cesim’s simulations are not currently available to individual students. But the ease with which No-Pay MBA Network members used the simulation – even though we weren’t part of a “for credit” university course – made me think that there is a significant opportunity in providing these kinds of experiences to MOOC students. Just as in a regular university education students balance large lecture courses with small seminars, MOOC business students would do well to seek out learning experiences in small groups. For one thing, in a class of thousands it is difficult to make and sustain real connections. For another, while information can be delivered massively, experiences cannot. Those who have been following the MOOC movement may be familiar with the lesser-known SPOCs – small private online courses. SPOCs seek to overcome some of the limitations inherent to massiveness, but you wouldn’t necessarily need to enroll in a SPOC in order to get the benefits of small group interaction. 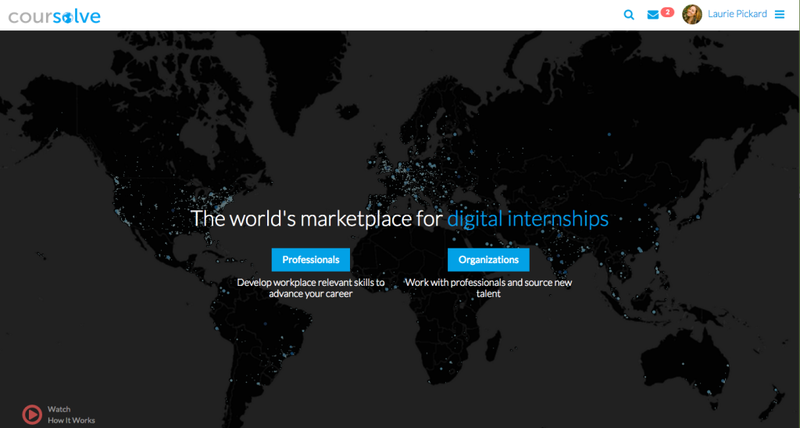 This is where the No-Pay MBA Network comes in. In collaboration with the first cohort of the Network, I’m exploring ways to offer more valuable, small-group experiences to MOOC business students. Cesim’s business simulation was one such opportunity. Universities provide abundant opportunities to meet people – both socially and in the classroom. In the MOOC environment, however, no one will force you to interact. Therefore, building your network must be intentional. But how do you do it? The problem is that adding valuable contacts to your network isn’t as straightforward as inviting the people who come up on your LinkedIn feed to be your connections, or posting a comment in a discussion forum. In my opinion, the best way for students to build real connections is through projects. 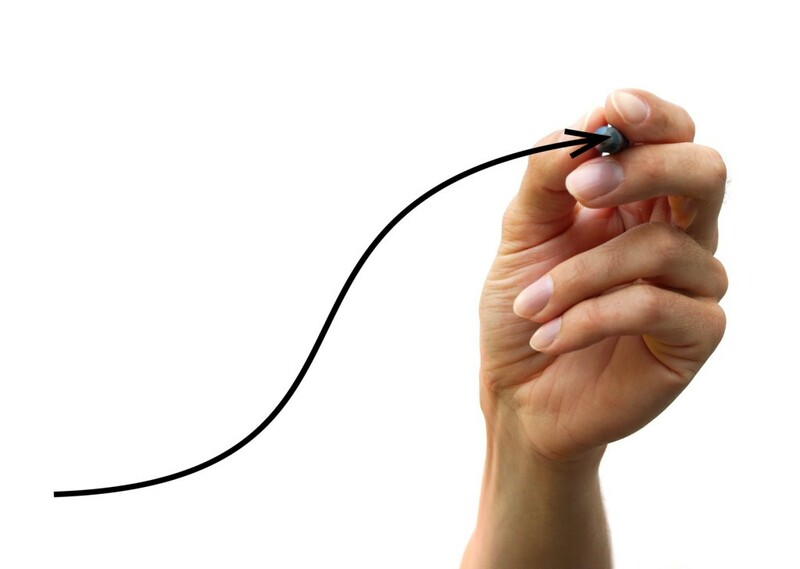 Project-based connections are much more natural than networking for networking’s sake. I’ve also found that the connections I’ve built by collaborating and working towards a common goal are the most likely to persist. 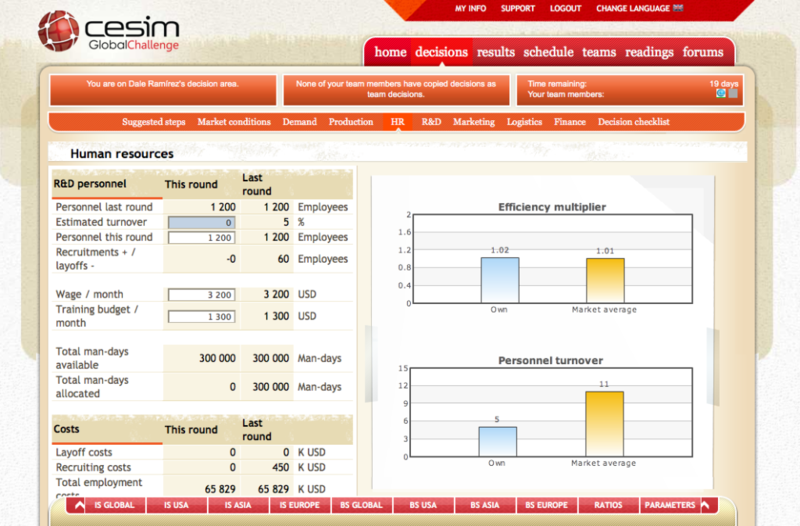 Cesim’s business simulation was highly useful in this regard. The simulation required me to work with my partner, a soft-spoken university student from India, who proved a thoughtful and insightful teammate. He and I didn’t know much about each other prior to the simulation, but we learned quite a bit about each other’s work styles through the game, and since then we have continued to collaborate. Other members of the larger group of eight that participated in the simulation made similar connections through the experience. Whether through a business simulation, a class project, a digital internship, or a discussion group that you organize, it is well worth your time to find ways to collaborate on projects throughout your MOOC-based MBA. 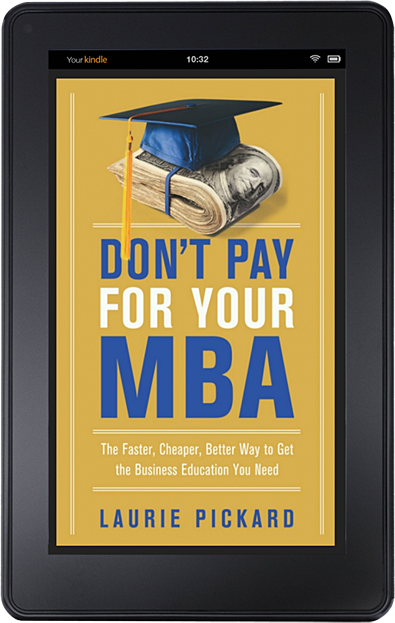 My goal with my No-Pay MBA is to replicate the MBA education using free and low-cost resources. While coursework is a big component of that experience, in order for my No-Pay MBA to be rigorous and complete, I’ve had to seek out ways to synthesize and apply what I’ve learned. Some MOOCs are also good at providing opportunities to apply the content – Foundations of Business Strategy is one; Negotiation is another - but not all MOOCs involve an applied component. Similarly, even in-person university programs have been criticized for failing to provide a unified curriculum. This critique could easily be levied against an MBA equivalent program, especially if all you do is take a series of largely unrelated courses. Hence the importance of projects that require the student to draw on multiple tools from the MBA tool kit. My favorite thing about the business simulation was that it required me to draw on information and skills from multiple courses. While it was not graded or assessed, it did give me a good sense of how far I’ve come since starting my No-Pay MBA. I felt equipped to understand the data provided and prepared to make management-level decisions. In addition to the business simulation, I’ve had other project-based and experiential learning opportunities that served the purpose of bringing multiple courses together – a Coursolve internship, volunteering to help a community-run business, starting my own business. Regardless of how you choose to do it, if you’re pursuing a business education via MOOC, I strongly suggest that you find opportunities to synthesize and apply what you’ve learned. I totally agree with Kevin Carey, and I think that the new Coursera Business Foundations Specialization – along with the rest of Coursera’s Specializations and other so-called microcredentials (Udacity’s Nanodegrees, edX’s Xseries) - are a digital credential of the type that Carey describes. Whether they enable people to get jobs remains to be seen, but with the participation of Shazam and Snapdeal on the Business Foundations Specialization, this credential takes a giant step forward in that regard. Coursera is my go-to MOOC platform . They have more business courses than anyone else, and the courses I’ve taken from them have all been excellent. In particular, the Wharton Business School courses (I’ve taken three so far) have been among my all-time favorites. But I’m not planning on signing up for the Business Foundations Specialization. And here’s why not. Yes, $595 is a lot more than free, and yes, Coursera used to offer Verified Statements of Accomplishment for these same courses at about half of what they cost in this Specialization. But $595 is also a lot less than $25,000, which is what you would pay for the first semester of business school alone. I also appreciate that Coursera has kept the course material free, even while charging a fee to those who want the certificate, which covers not just the four courses but also a capstone project. I don’t have any problem with paying for certificates or course content; the No-Pay MBA is not an ideological stance. I consider myself extremely lucky to have been able to take all of my courses for free thus far, but if I find I have to pay to get the content I need, I won’t think twice as long as the price is reasonable. As a business student, I also understand the need for the MOOC platforms to find a sustainable business model. It’s not because I can’t get credit for the Wharton courses I’ve already taken, though if you paid for a Verified Statement of Accomplishment you can. Changes in the course length and content are disappointing. I didn’t realize that there was anything different between these courses and previous versions of the Wharton Foundation Series courses, until a reader pointed out to me that all of the new courses are only four weeks long. The previous versions were up to ten weeks, just like regular university courses. The reader who alerted me of this change also pointed me to a discussion board where students lamented the changes to Wharton’s Introduction to Accounting. I understand Professor Bushee’s point, but as a student I appreciated the fact that in Introduction to Accounting – and the other Wharton courses – I got most if not all of the content of the regular, on-campus course. But even that wouldn’t necessarily stop me from registering for the Specialization, especially given that the additional content is still available. For certain people the Business Foundations Specialization could be the right digital certification. If you’re planning to apply to Wharton or another business school having this Specialization under your belt could be a leg up. Or maybe you just need an introductory understanding of business and want a certificate to demonstrate that you’ve attained it. The credential I need goes beyond Business Foundations. I’d be happy to pay a few hundred dollars for a digital credential if I thought it could provide additional legitimacy to my studies or could materially advance my career. But given that my project is to do a whole MBA with MOOCs – on a very small budget – this particular certificate doesn’t offer enough value for the money, especially given that the content is not as robust as it once was. Others who are studying business via MOOC, I’d be interested to hear your thoughts on the Business Foundations Specialization. Are you planning to register? Why or why not? Comments welcome. 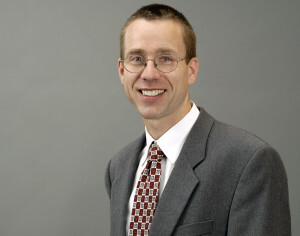 Christian Terwiesch is a professor at the University of Pennsylvania’s Wharton Business School. He teaches a popular MOOC, Introduction to Operations Management, which I took last year. That course, along with three other Wharton courses, now form part of the newly launched Business Foundations Specialization from Coursera. Professor Terwiesch is also a thought leader when it comes to MOOCs and their potential for disruption in the market for business education. Along with Karl Ulrich, another Wharton professor, he authored an excellent paper called “Will Video Kill the Classroom Star?”, which explores the ways in which business schools and professors might come under pressure from new educational technology. I caught up with Professor Terwiesch recently, and we talked about the Coursera-Wharton Specialization, as well as his current thinking on the future of business education. LP: I want to start by thanking you. I took your course last year, I greatly enjoyed it, and I learned a lot from it. So thank you for offering it. CT: I love your story. It’s these kind of stories that make the Coursera world so exciting. LP: I’d like to ask you about the new Specialization from Coursera that involves all the Wharton courses. I want to ask you about who you imagine will use this and benefit from it the most. Who was the team imagining when the Specialization was created? CT: I think this is about realizing that we have only a certain number of seats for people coming here to Philadelphia or to San Francisco to take Wharton courses. 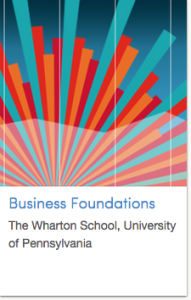 But there is much more demand, many more people who are interested in business knowledge provided by Wharton. Many people cannot come because they don’t have the financial means, many people cannot come because of geographic constraints. Through Coursera, these folks can get a sense of what Wharton is like without paying the money that you would have to pay to come here, and without moving to Philadelphia. LP: I’m very excited about the Coursera Specialization, mostly for the possibilities that it opens up. We’re seeing more Specializations and things of this nature, and they are becoming more sophisticated with the inclusion of capstone projects and the involvement of businesses. What do you think we’ll see next in terms of offerings from the MOOC platforms? CT: I doubt that in the foreseeable future we will be granting a degree based on MOOCs. But the trend goes towards using these courses first in the admissions process, then to start giving credit for them. So it’s only a question of time as to who offers a degree based on them. Certainly on the degree side I would think that the elite institutions will be the most conservative. But it is a trend. That train is rolling. LP: I read “Will Video Kill the Classroom Star?” which you wrote last year with Karl Ulrich. I loved it, and I wanted to ask you some questions about it. You raised an important point, which is that MOOCs and the like will have a small effect, or even no effect, on top schools like Wharton. What do you expect will be the effect on other business schools? CT: If you look at the full time MBA programs and you’re not in the top schools – if you are, let’s say, somewhere in the rankings below 50, you already start feeling the heat. People are increasingly less willing to give up their work, move to a remote place for a two-year education that they could get online. Like it or not, for the business schools, MOOCs are not the great equalizer. As with other examples in globalization and technology, the rich get richer, and the poor get poorer. But, this is the perspective of the schools. For the people, fortunately, I think it’s the opposite. I think it’s wonderful because MOOCs help close the inequality gap. We can provide an Ivy League education to everybody, even if they didn’t have the grades in high school or the means to come here. LP: As someone who’s studying while working I feel that I get an added benefit from being able apply some of what I’ve learned immediately at work - it’s not just that I’m avoiding the opportunity cost involved with taking time off of work. I have to think this is something that’s attractive to employers as well, and I wanted to hear what you think about that. CT: We call this “learning on demand” – much smaller chunks of knowledge, studied and applied in real time. I think there’s lots of power in that business model. So will the employers go after it? That could be a real threat to us. I think that’s too early to say right now, but I certainly think that our big recruiters – McKinsey, Goldman, Google – if they all went down that path, that would be the biggest threat to our existence. The question is, could we as Wharton deliver this content on demand, or would McKinsey or Google just say “we’re going to cherry pick the content across all the courses that are available in this online learning space, and then people would study as they’re working for us”. Then we don’t need Wharton anymore. The problem with that model for the business schools is this whole idea of certification. Certification is really only needed if you have studied for a long time and you haven’t deployed these skills. If you study a new skill and then deploy it the next day, I don’t need to certify you anymore. You can just write on your CV how you’ve completed a successful merger or acquisition. I don’t need to write you a certificate that you’ve studied it. You actually are self-certified for having been successful on the job. So that I think is a big threat to our existence. LP: Do you think that’s inevitable? Or is there still a market in which a certification could be highly valuable? CT: Let’s start with the undergraduate market. Is somebody really going to go and take a high school student and throw them on the job and say you’re going to learn on demand? A young person needs a couple of years of personal development, some education, and because of our scale, we can provide both of this efficiently and at high quality. In the MBA case, it’s a little less clear whether that is the right model to deliver the knowledge. We’re back to this observation that we made in the paper that you really have to think of the business school as a bundle of services that we provide. There is the learning, there is the certification, but there are other aspects around networking, career management, and fun that you would lose if you acquire your knowledge on-demand. As long as we keep the learning as an integral part of a broader experience we will provide our service with a certain integrity that cannot be unbundled. LP: I want to push you on that. Clearly the content can be unbundled. Do you see other opportunities for entities outside the university to capture other pieces of the bundle? CT: Well my joke has always been that I’m afraid of a merger between Coursera and Club Med. If our story is that the experience of being around other students and the social interaction is so critical to what we do, then look, that is what Club Med is built around. You sprinkle in Coursera with the content. If those two merge, you have a business school. It’s a joke, but I think there’s some truth in it. There’s no reason to believe that we are the only place in the world where you could have a good time and learn something. LP: I have one final question for you which is something very dear to my heart, and that is to hear your thoughts on the potential for MOOCs to increase access to business education in the developing world. CT: As a research university we have a very funny business model where you write an academic paper for hundreds of thousands of dollars and then give them away for free. We train doctoral students at the expense of hundreds of thousands of dollars, and then they go and work for our competitors. We are used to doing work which benefits others. So which customer would be more honorable to serve than the poorest members of our globe? The more we can have these courses be delivered in regions that typically don’t have access to education at our level, or even within the US, a society with large income discrepancies, the more we are true to our mission as a university.